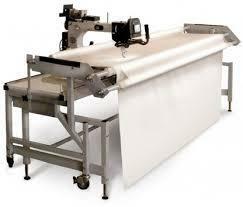 We offer computerized long arm quilting at competitive rates. We have 1000's of patterns to choose from. Together we will find the right pattern to fit your quilt.